The 1753 Bachmann Publick House is Easton's only surviving 18th century tavern and oldest standing building. 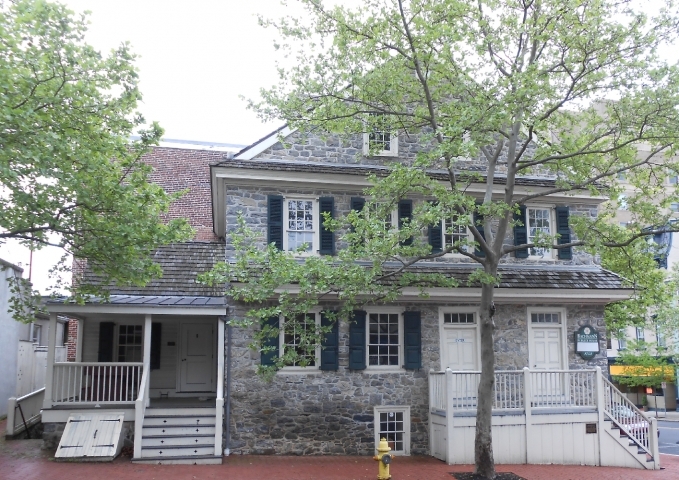 This restored original 3 story stone building was constructed in 1753 by Jacob and Katrinna Bachmann. The building was once the home to Northampton's Court and today it is the only colonial Courtroom remaining today in Northampton County. Famous persons such as Benjamin Franklin, John Adams, General John Sullivan, William Ellery and William Whipple (signers of the Declaration) were guests and attendants at the Bachmann. In fact in 1761 George Taylor, Easton's signer of the Declaration purchased the Bachmann Publick House after the mortgage was called. He owned the inn for several years before selling it. Eighty percent of the building is original with exceptional care taken to match the reconstruction perfectly. There are five working fireplaces including a huge walk in open hearth.